I've been busy in the shop building a prototype footstool from the Maciejowski Bible. At least that's what I thought I was doing. I made mistakes and lost focus. The footstool I built is a nice little piece of furniture that has all the trappings of Medieval ornamentation. I started out on the project and then let it take me away on a trip of it's own. I often find myself working like that, letting my intuitions and gut feeling take me where it would as I build, and often that leads me down the right path. I returned to my source material last night, and found the mistakes I made with the prototype. I'm going to have to change the way I work when it comes to these projects and reign in my wild spirit a bit. Today I'm returning to the drawing board, literally, and working out the measured drawings I should have made and been using from the start. The upside I got to work with my new workshop toys. 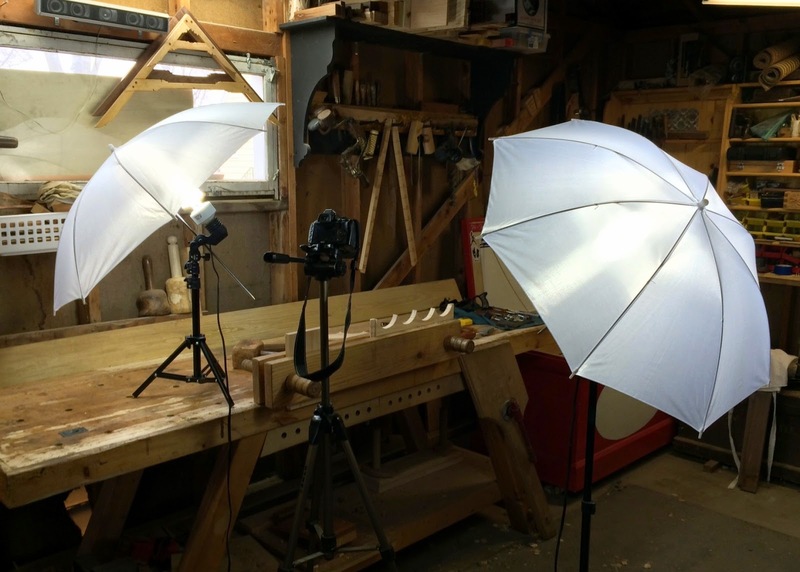 A set of real, honest to goodness photography lights. Using them has improved my photography, reduced the amount of photos I take before I have one I like, but significantly increased my set up time for each shot. 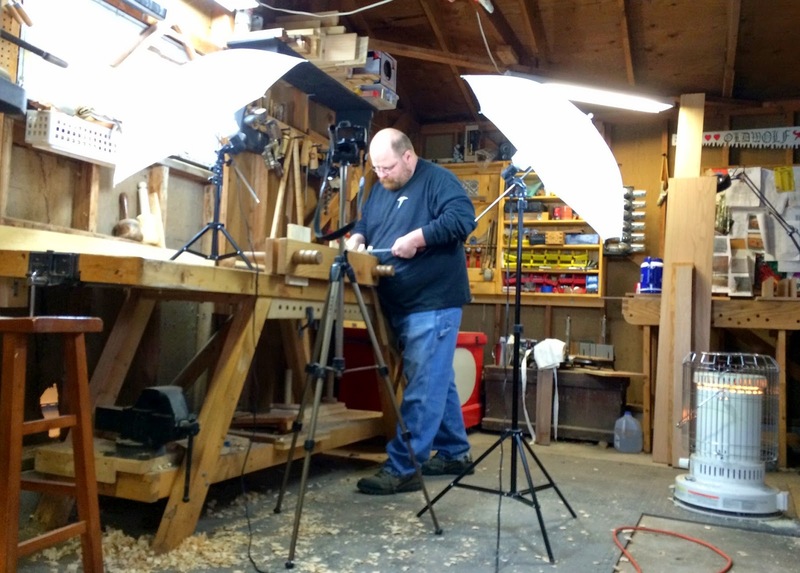 I'll tell you if you want something you build to take at least twice as long, then pick up a pair of lights and try to photo-document the process. All in all it's a delightful conceit. The results speak for themselves. Because I'm unhappy with the prototype I can't use these photos for much else, but the practice I received taking them paid for the experience. What drives us to spend hours making an object and then more hours trying to explain through video or pictures the process we use to make it? The additional lighting makes the pictures clearer. Have you tried it with video yet? I really don't do much video. It's a huge time sink, The shooting's not so bad but the time editing is a big factor for me. There are times it's the right thing. 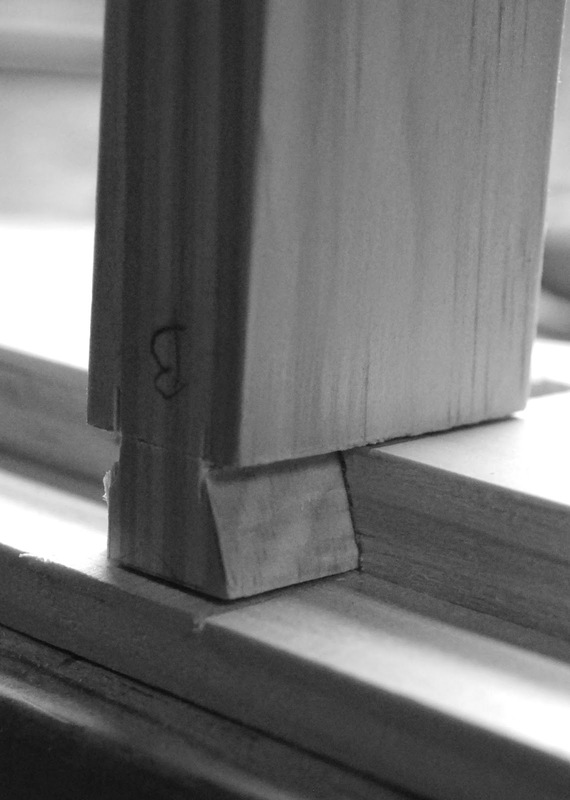 I've been meaning to shoot a short video on the basics of sawing, but we'll see when I get around to that and how helpful three little lights will be then. Thanks for taking the time to answer Derek. I'd be interested in the sawing video. I'll second the time sink concept. I'm trying to have a new video posted every week and the project only takes 10% of the time that the camera work/editing does. In my working life I'm a technical writer. Writing work instructions with pictures is much faster than an equivalent amount of video. I do think video provides nuances that are missed in static pictures and text. Crafting phrases with universal appeal and understanding is much more difficult than just showing how. I'm interested in the lighting because I'm having trouble getting the background to show. I'm thinking that I need a better light balance. Too much and the background washes out the foreground. To little and the background is a black hole. My camera is a Nikon Coolpix S8200 and not the best. The easy setup uses auto focus and must have a lighting balance adjustment too. When I move an object in the scene the background will bounce from light to dark. Video is also a memory hog. 270 gigs of memory filled up with 75 videos. I never thought I could need that much memory let alone fill it. IMHO your work is excellent. You accurately describe what you do and explain it clearly.